В определителе видов водорослей рода Ulva, встречающихся в морях европейской части России, приводится ключ для определения, а также описания 10 видов. Определитель включает микро- и макрофотографии для наглядного определения водорослей. Ключевые слова: Ulva; моря европейской части России; макроводоросли; определитель. 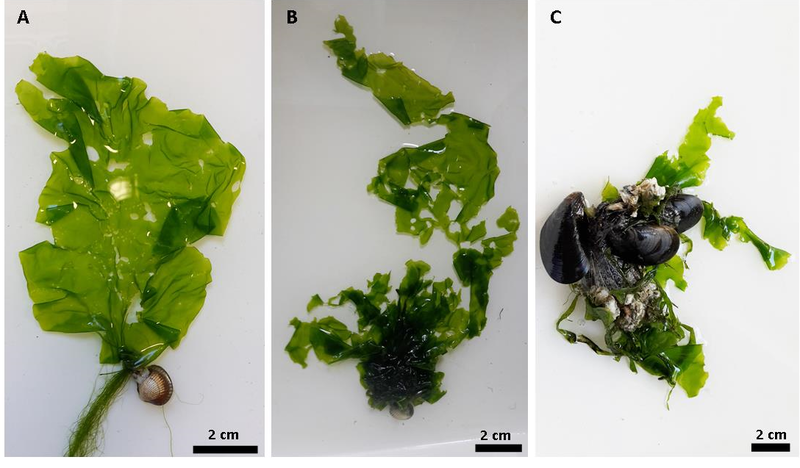 Ulva species are considered to be most difficult to distinguish between green macroalgae. The minimum number of macroscopic morphological features and their great variability significantly complicate the identification of the species in the field. More reliable taxonomic characters are the order (or disorder) of cell arrangement, the size and location of chloroplasts and the number of pyrenoids. In general, it is reasonable to use a set of features in order to determine the species of the genus Ulva. 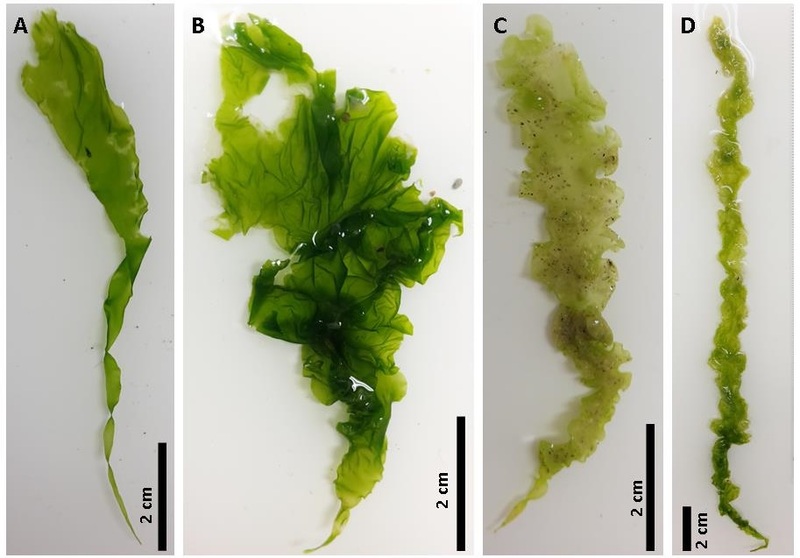 For example, one of the most representative characters of the species Ulva intestinalis is the presence of polyconcentric structures of the cells that are located in different directions. Such structures may emerge with Ulva cells dividing in at different angles, regardless of the direction of the division of neighboring cells. 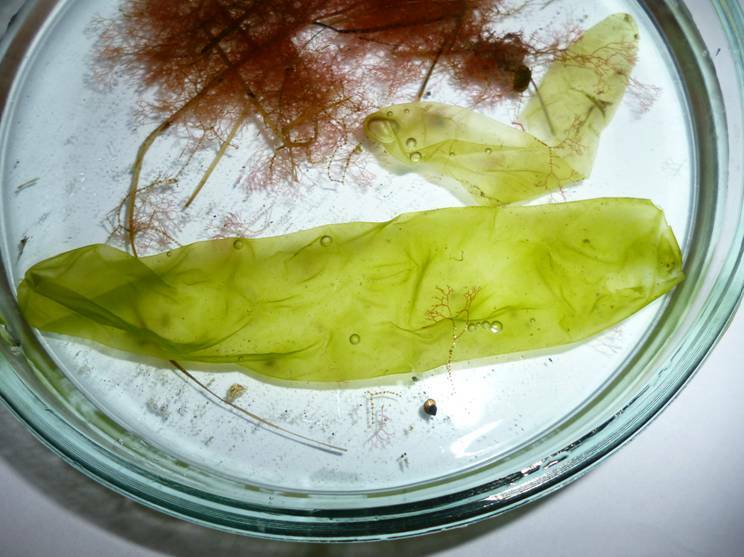 In addition, the cells of Ulva intestinalis are sufficiently small. As to the species Ulva prolifera, its most obvious distinguishing feature is the arrangement of microscopic cells in pairs or fours. 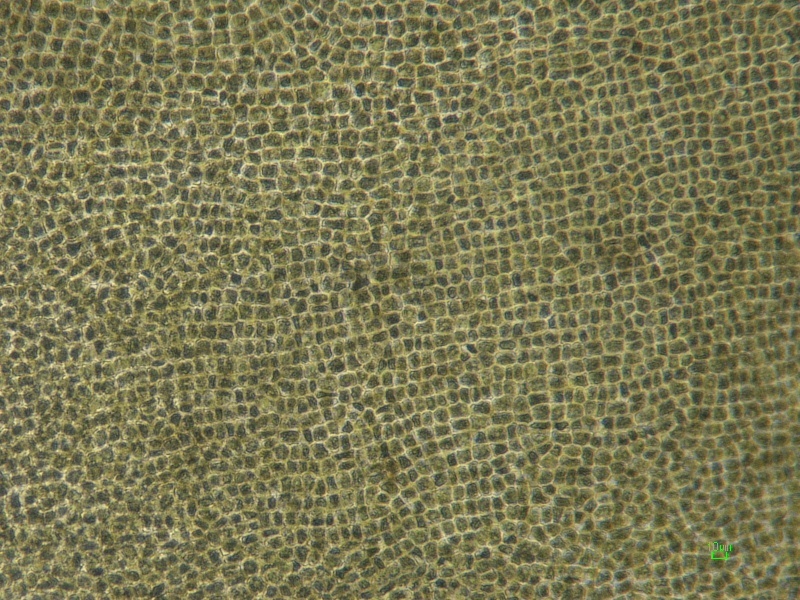 Long longitudinal and/or transverse rows of cells, large size of cells and a large pyrenoid clearly seen in the cell, are typical of the species Ulva linza. Unfortunately, some specimens lack for distinct species-specific characteristics. For example, some specimens of Ulva linza have such parts of the thalli whose cells are scattered (especially in the basal part of the thallus), moreover, polyconcentric structures can be formed as it occurs with Ulva intestinalis. In this case, to identify the species it is necessary to investigate the whole thallus for long parallel rows of cells. This manual provides the key and descriptions of the algae belonging to genus Ulva from the European seas of Russia. An identification guide to British and Ireland Ulva species has been used as the basis of our key (Brodie et al., 2007). Distribution of the species are given according to own data and information from listed references (Zinova, 1967; Vinogradova, 1974; Kalugina-Gutnik, 1975; Gromov, 1998; Zhakova, 2006; Milchakova, 2011; Velikova (ed. ), 2012; Guiry, 2016). 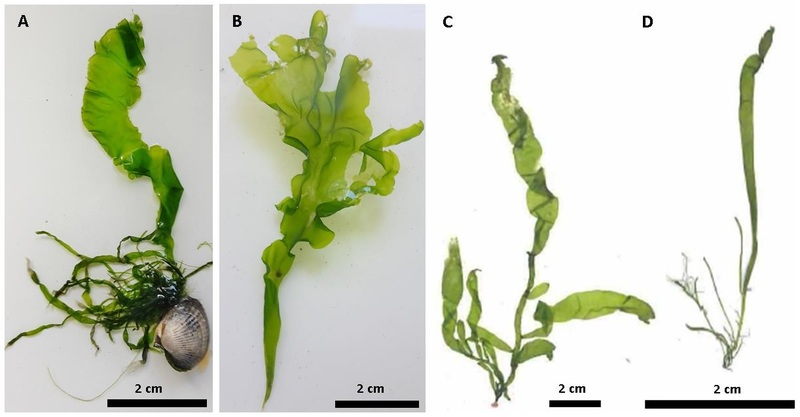 Species identity of the algae whose photomicro- and macrographs are given in the annex of the manual has been confirmed by molecular-genetic studies (for tufA gene) conducted in the Helmholtz Center for Ocean Research GEOMAR, Kiel (Germany). Thallus consists of long abundantly branching tubules forming tufts, of 10-15 cm long and 0.25-5 (10) mm thick. Thalli are from light to dark green in colour. Cells are generally located in longitudinal rows, sometimes transverse rows can be observed, cells rounded or rectangular with rounded corners, of 20-30 (50) μm in diameter. 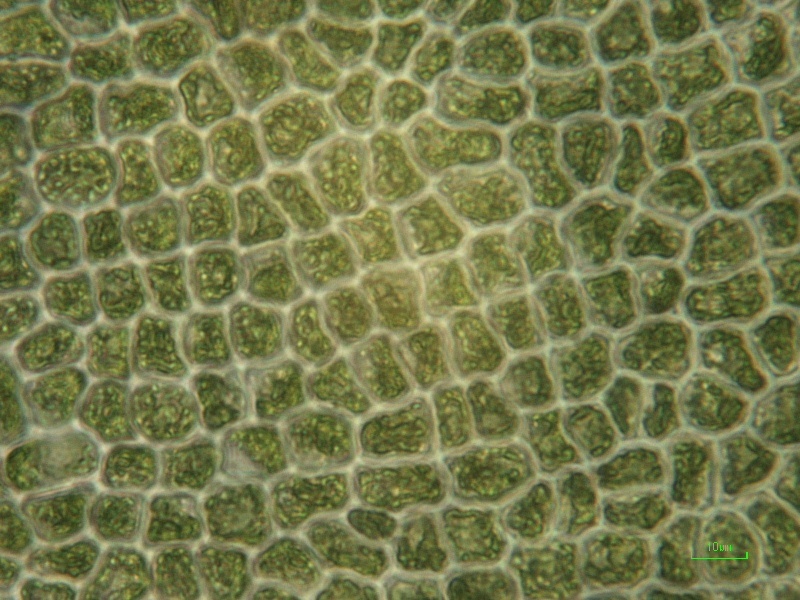 Chloroplasts are discoid with a smooth or lobular edge. One or two-three pyrenoids in young cells, and up to 5-15 in older cells at the base of the thallus. Sexual process is anisogamous, asexual reproduction is by quadriflagellate zoospores. It is found in brackish and sea water areas in the protected and open beaches, on rocks, stones and shells and as epiphytes in the littoral zone, the water's edge, less frequently in the subtidal zone. The most abundant growth is observed in spring and summer. It is a common species in the Black, Azov, Caspian and Baltic Seas. It is the species whose wide distribution is questioned by some algologists. 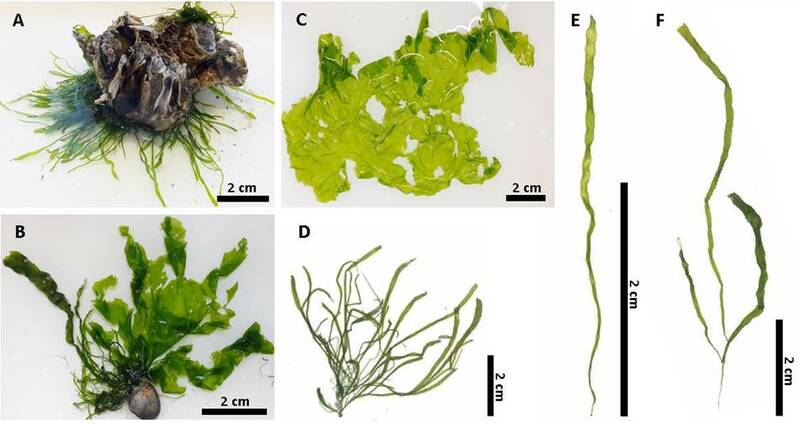 According to molecular research, Ulva compressa occurs in the Baltic Sea only in the form of large, flat and coarse thalli lying on the bottom of shallow lagoons, in the Wadden Sea – in the form of branching tubular thalli. 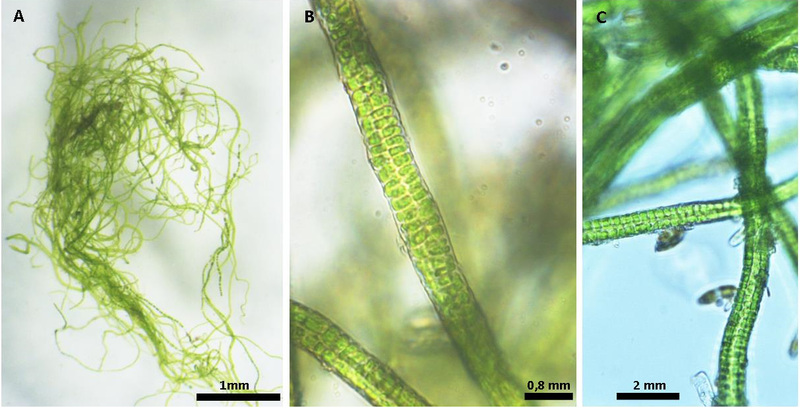 According to the guide (Brodie et al., 2007), thallus is various in its form: axis are usually tubular, but not swollen, compressed, profusely branching up to 60 cm or more in length, 0.1-2.0 cm wide, sometimes very broad and leaf-like, with numerous tubular outgrowths on the surface of the thallus. Thalli colour varies from light green to dark green (Fig. 1). The cells are arranged randomly, sometimes in short rows or rosettes, but there are forms with longitudinal rows of cells. Short rows consist of 4-5 cells, there are up to 10-31 cells in winding long parallel rows. Cells of 6-9 x 8-11 μm size and more (up to 15-30 µm in diameter) are round, rectangular or polygonal with 5-6 angles. Cells contain one large well observed pyrenoid (up to 3-4 μm). 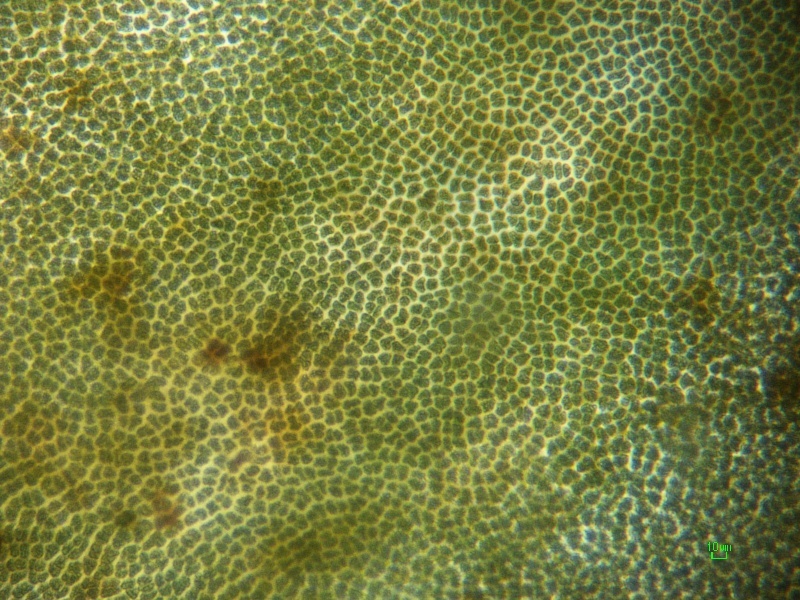 Cap-shaped chloroplast, caps are generally in the apical part of the cell (Fig. 2). Gametophyte is dioecious, forms biflagellate anisogamous gametes; quadriflagellate zoospores are formed on sporophyte. Widely distributed both on protected and subjected to the wave activity shores, occurs as epiphyte or epilith on small stones, rocks, sometimes in tide pools. It is observed throughout the year, abundant in spring and summer. Different morphotypes of the species occur in the Black, Azov, Caspian and Baltic Seas. Morphology varies ranging from sparsely branched long ribbons of 2 cm in width to narrow branching tubular less than 1 mm in diameter. The branches are arranged oppositely and laterally, sometimes reaching the size of the main axis. Plants often form soft clumps pale green in colour (Fig. 3). Axes are cylindrical, flattened or swollen. Branches at edges are sometimes uniseriate. Cells are usually rectangular in longitudinal and transverse rows. Parietal chloroplast is a hollow cylinder, open at both ends, with 1-4 (sometimes more) pyrenoids. The sexual process is anisogamy (biflagellate gametes are formed, which can also develop parthenogenetically), asexual reproduction is by quadriflagellate zoospores. It grows in a variety of places: in the upper subtidal zone of protected and open shores, in the intertidal zone, in saltwater lagoons and in salt marshes. It is a common species in the Black, Azov, Caspian and Baltic Seas. Thallus usually tubular, swollen, sometimes constricted, light or dark green in colour, usually quite soft. Thallus unbranched or with some branches extending from the base of the thallus. Height of thallus is from a few centimeters to 30-40 cm, and its width is from 0.5 to 4.0-5.0 cm (Fig. 4). Sexual reproduction is by biflagellate anisogametes, asexual is by quadriflagellate zoospores. 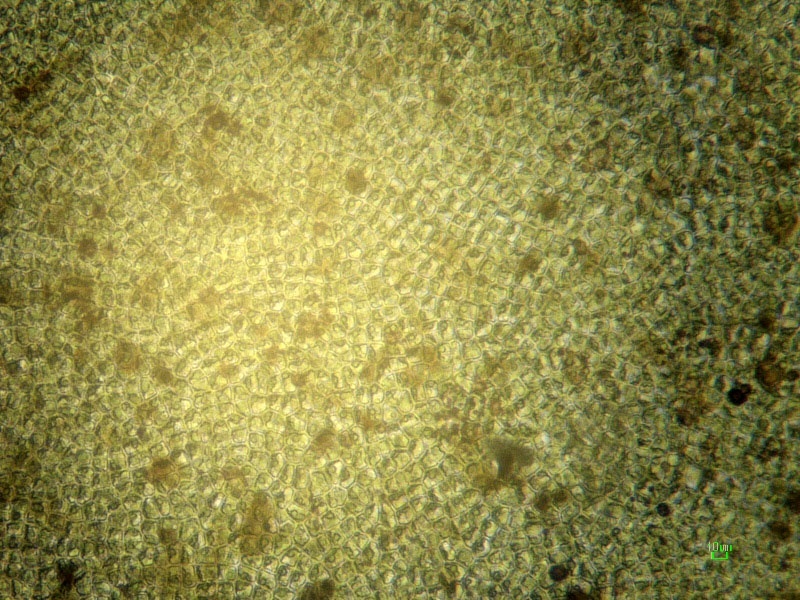 Cells of 6-10x7-16 μm, mainly polygonal, with 3-7 angles or rounded up to 20 μm in diameter. Cells are not arranged or rarely found in short rows (8-10 cells), located in different directions (not oriented parallel or perpendicular). Cells are often located in single or 2-3 parallel semi-concentric structures comprising up to 15-20 cells (Fig. 5). Very seldom cells are collected in rectangular structures of 4x4 or 5x5 cells. Pyrenoids each to 2.5 μm in diameter, sometimes not very well viewed. Chloroplast is in the apical part of the cell or covers the whole cell. The species is widespread in marine and brackish waters, as a rule, at a salinity less than 20 ‰ both in the protected and open areas of the coast, on rocks, stones, shells. Occurs in the Black, Azov, Caspian and Baltic Seas. Thalli are long, narrow (0.5-3.0 mm wide), cylindrical, unbranching or branching. Cells are of square or rectangular form, often extending longitudinally, 15 x 24 μm, with 2-4 pyrenoids. Occurs in the Black Sea and is likely in the Caspian Sea. Distribution needs to be specified. Thalli are light green in colour, soft, of various shape – from highly branched narrow (0.5-5.0 (10.0) mm) flattened to unbranched two-layer band-like thalli of 0.5 – 4.0-5.0 (8.0) cm wide and 5-30 cm long or more, with wavy edges and conical hollow stipes (Fig. 6). The first morphotype was originally described as Enteromorpha procera and Enteromorpha ahlneriana, the second as Enteromorpha linza. According to molecular-genetic studies these species are similar. Fig. 6. General view of Ulva linza. The size and shape of cells of the specimens belonging to various morphotypes we have studied are slightly different. Cells of linza-like morphotype representatives are mainly rectangular or polygonal with 6-7 angles of 7-20 x 9-30 μm size containing 1 (rarely 2) relatively large (2,0-3,5 μm) and well observed pyrenoid. The specimens of procera (ahlneriana)-morphotype have somewhat smaller cells, 6-15 x 9-20 μm, substantially rectangular or polygonal with 5-6 angles, often elongated. The cells contain one (two pyrenoids in 5-7% of the cells) a rather large (2-3 μm), clearly visible pyrenoid. 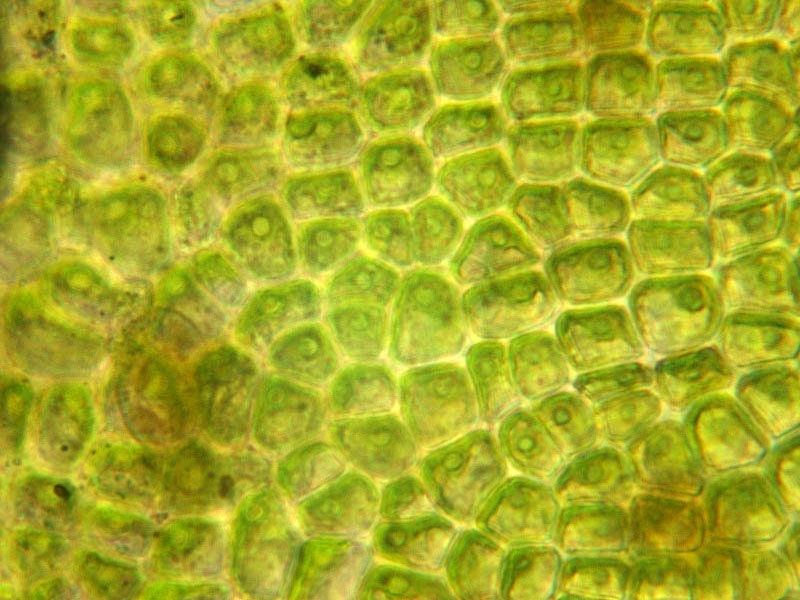 Chloroplast is parietal, under the light microscope it often looks like as if it occupies the whole cell (Fig. 7). The cells of both morphotypes are arranged in parallel longitudinal and/or transverse rows containing up to 16-38 (linza-morphotype) or 10-35 (procera [ahlneriana]-morphotype) cells (there can be more cells). Cells often form clear rectangular structures holding up to 6x12 cells. Representatives of European species reproduce by parthenogenetic biflagellate gametes or quadriflagellate zoospores. It is a widespread species, occurring on rocky substrates and boulders in the upper sublittoral and littoral zones with normal and lowered salinity. Occurs in the Black, Azov, Caspian and Baltic Seas. Thallus vesicular, egg-shaped, elongated ovoid, unbranched, with a small stalk and stipe, 2-10 cm long and 2-8 cm wide. A hole at the top, thallus may be easily torn in its top. 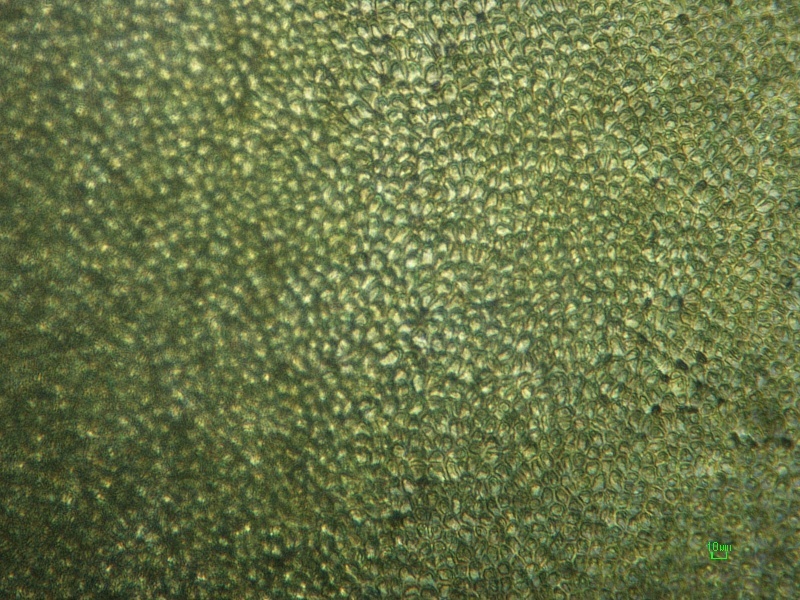 Thallus is stiff, dark green in colour (Fig. 8). Cells from the surface are rectangular, square, with rounded corners, of 12-26 μm size, arranged in no particular order. Chromatophores with 2-3 pyrenoids. It is found on shells, as well as in an unattached form at shallow depth in protected habitats with different salinity. It is an endemic species in the Black and Azov Seas. 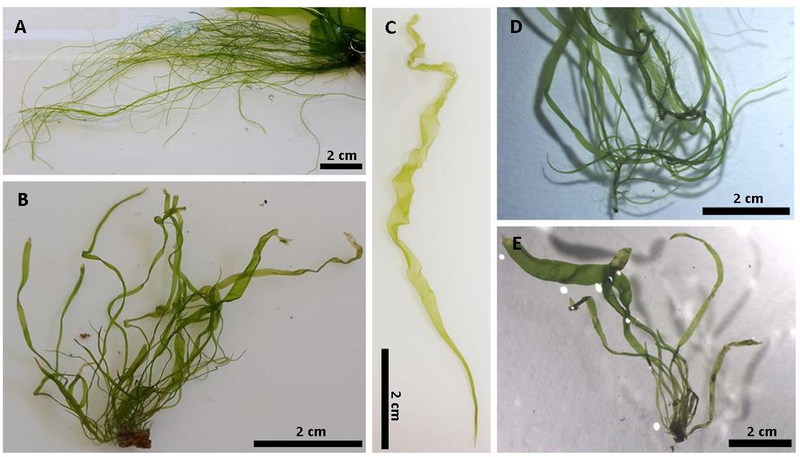 Thallus has a high degree of morphological variability from low branched (up to 50 cm in length and 1 cm wide) ribbons to highly branched thalli with tubular branches less than 1 mm in diameter. Thalli are from light to dark green in color; axes are cylindrical or compressed with central cavity (Fig. 9). The cells are round, rectangular, sometimes polygonal of 5-9 (-35) x 6-13 (-30) μm size, arranged in pairs or fours. The cells form relatively long longitudinal and/or transverse winding rows of 13-30 cells long. 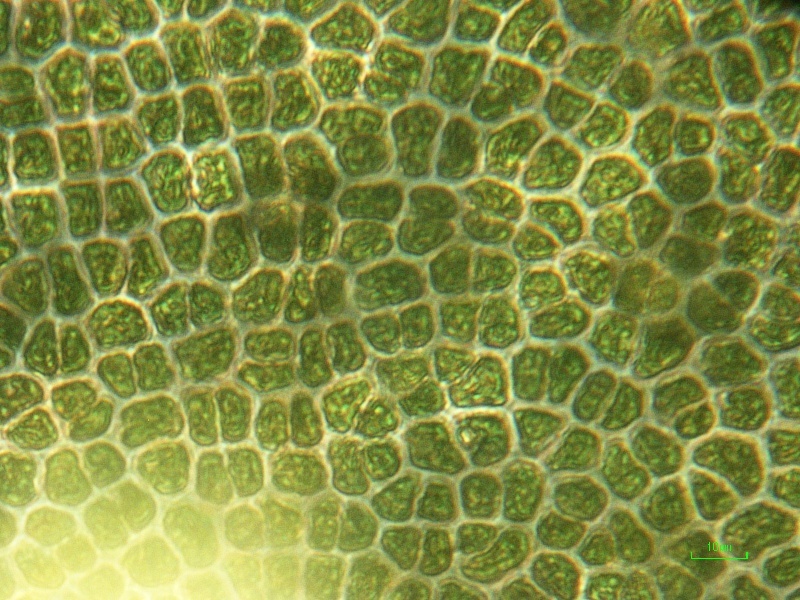 Chloroplast occupies in the cell a central or parietal position (sometimes it fills the entire cell), is often obscured by numerous starch grains. In the center of the cell there is one (sometimes two) pyrenoid, quite large (up to 2-3 μm), which is sometimes not very well seen (Fig. 10). Reproduction is anisogamous by biflagellate gametes that may develop parthenogenetically, as well as by numerous quadriflagellate zoospores (Koeman, van den Hoek, 1982). U. prolifera lives in the upper subtidal zone at depths of up to 3-5 meters in tide pools. It is found on stones, rocks and shells. It is abundant under conditions of eutrophication. It is a common species in the Black, Azov, Caspian and Baltic Seas. Thallium as a broad irregularly shaped blade with perforations from a few millimeters up to 1-2 cm in diameter. It is from light green to dark green in colour, with tough, leathery texture. The edges are more or less smooth, lobed or wavy (Fig. 11). Under the microscope the thallus edge is tooth-like. Cells are scattered, sometimes in irregular rows, polygonal or rectangular, of 15 x 9 mm size (or more). 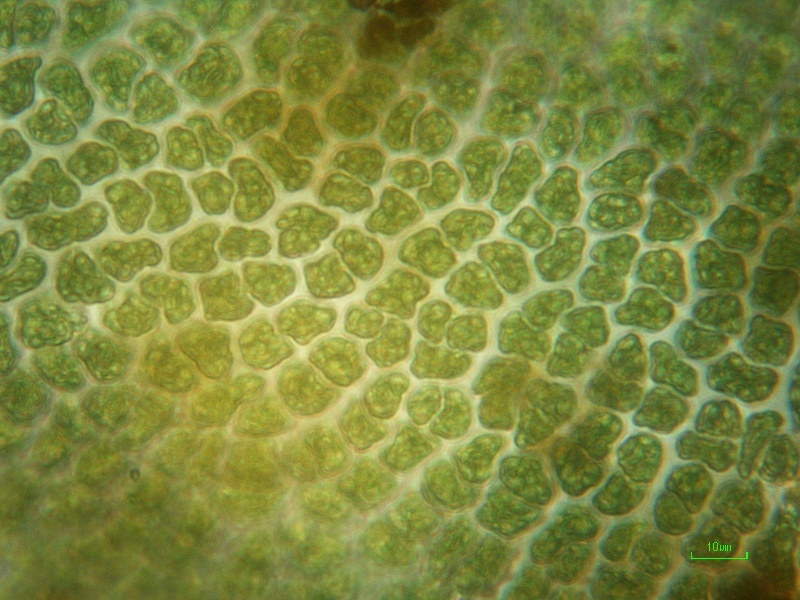 Chloroplasts parietal, with 2-4 (rarely 1) pyrenoids. Fig. 11. General view of Ulva rigida. 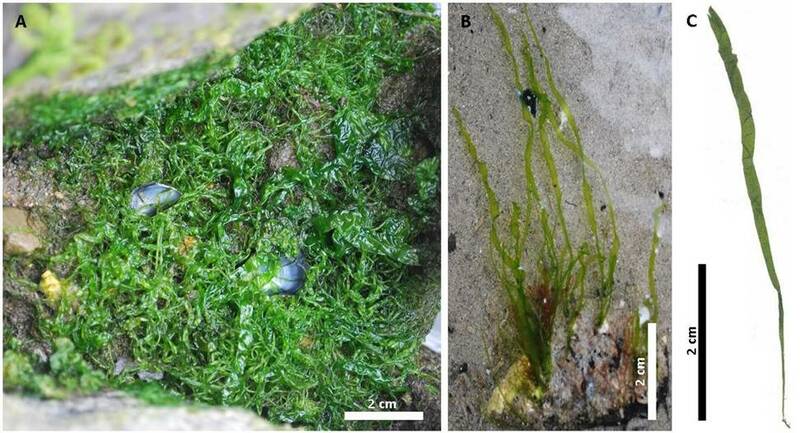 It is found in the intertidal and upper subtidal zone with surf of different force, on rocks and as an epiphyte on other algae, mainly in eutrophic habitats. It often floats freely. Occurs in the Black, Azov, Caspian and Baltic Seas. Enteromorpha torta (Mertens) Reinbold (1893). 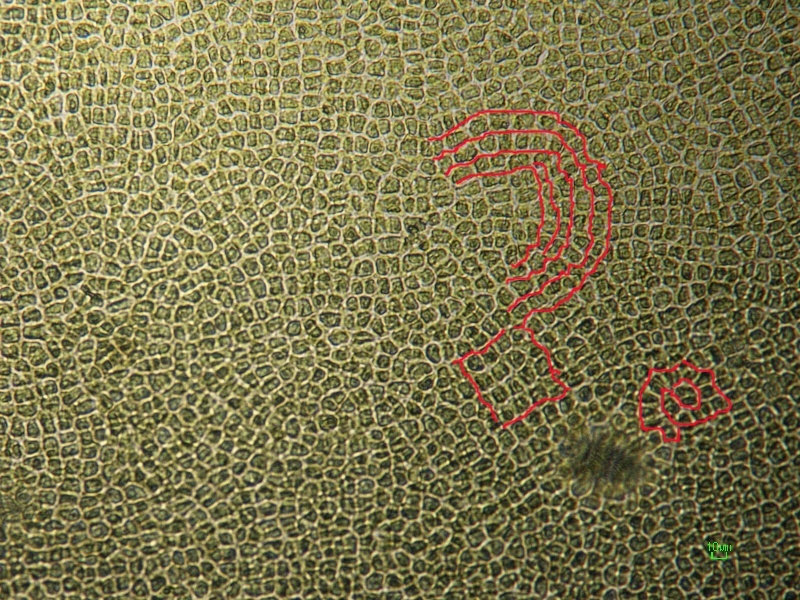 Thallus in the form of tangled narrow (30-50 μm), cylindrical, unbranched, long (up to 50 cm in length) tubules of the same thickness throughout its length (Fig. 12). Cells measuring 12-28 x 6-16 mm are located in 3-12 longitudinal straight or spiral rows. 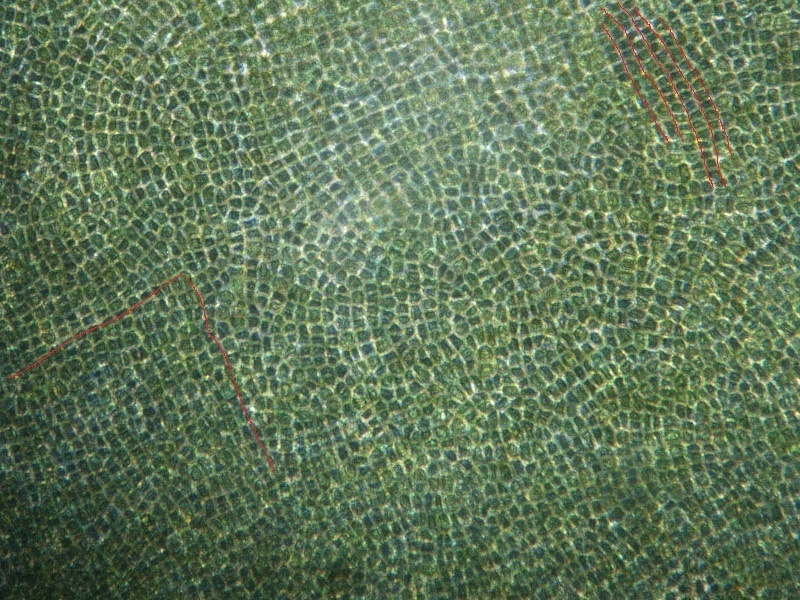 Chloroplast parietal, usually with one pyrenoid, rarely two-three. It occurs in the form of a mass tangled around other filamentous green algae in bays and estuaries. It occurs in the Caspian and Baltic Seas. The guide contains description of the species of green algae genus Ulva, found in the European seas of Russia. The key of macroalgae is given. The field guide includes micro- and macro photographs for visual determination of algae. Keywords: European seas of Russia; macroalgae; Ulva species; guide. Афанасьев Дмитрий Федорович - Afanasyev Dmitry F.
заведующий лабораторией гидробиологии и прикладной экологии ФГБНУ «Азовский научно-исследовательский институт рыбного хозяйства», Ростов-на-Дону, Россия (Azov Fisheries Research Institute, Rostov-on-Don, Russia), доцент Южного федерального университета, Ростов-на-Дону, Россия (Southern Federal University, Rostov-on-Don, Russia). Камнев Александр Николаевич - Kamnev Alexander N.
Сушкова Екатерина Григорьевна - Sushkova Ekaterina G.
Корреспондентский адрес: Россия, 344002, г. Ростов-на-Дону, ул. Береговая, 21 в, АзНИИРХ; тел. (863)-2624197. Dear colleagues! We can send to you PDF-version of the Field guide via e-mail upon your request.